The other day, I asked a couple of colleagues whether, when they were taking a shower, did they apply soap from the shoulders down to the feet, or from the feet up to the shoulders? There was a look of shock while the audacity of the question sank in. Then there was a more prolonged pause while the customary sequence of events in the showering process was slowly fished out of the subconscious "back burner" and brought out into the conscious light of day. But before they could remonstrate with me for inquiring into their personal ablutions, I asked another question. Have you ever had to wash the outside windows of a house you own or rent? This question was more comfortable because apparently they had. Nevertheless, the obvious idea of liking the task of washing windows with the satisfaction of washing the body was clearly not appreciated. Still, we managed to surmount that obstacle, so then I asked: "Good, in which case, do you apply soap and water starting at the bottom of the window and work up, or the other way round?" The answer to this question also required some thought, but essentially it was that starting at the top and chasing the dirt down seemed to make the most sense. But in any case, they asked: "Why would I want to know that, and what difference did it make?" "Simple." I replied, "It is a question of effectiveness and efficiency". Knowing my interest in project management, they began to see where I was headed. At this point, their response was clear: "We wash windows from top to bottom." And I think I detected a hint of superiority and emphasis on the phrase "from top to bottom". But the reality of dealing with a "vertical" project is not always intuitive, so I cited another example. "Suppose you had to demolish on old garden brick wall, in which the lime mortar had largely decayed making it easy to remove the bricks. How would you set about that?" "Well," they surmised, "we would simply knock off the bricks row by row from the top." "Ah ha," I jumped in, "and after you had got about half way down, you would be obstructed from any further progress because of the pile of dislodged bricks heaped up against the bottom of the wall." My colleagues agreed that this could be a problem. "So then you have to stop and clear the bricks away before you can go any further. And perhaps you may even have to do that again near the bottom. Clearly having to stop and start in this way is neither effective nor efficient!" "So what is the answer?" they said - as though the answer was not self-evident. "Why, of course you start at the bottom. This way, you gradually undermine the wall until it topples over of its own accord and you are simply left with carting the bricks away. Of course," I hastened to add, "there is an element of risk involved. You don't want to be under the wall when it topples over. But then you don't want to fall off the wall when starting from the top either." Similarly, an expert window washer will start cleaning from the bottom before the entrenched dirt there becomes obliterated by the dirt draining down from higher up. Of course, the final cleanup will start from the top, washing the whole mess away, leaving the entire window clean without unnecessary rework. The same is true of demolition generally. Most readers will be familiar with movies showing the demolition of tall buildings by blowing up the foundations and watching their subsequent collapse. See a different example in Figure 1. What has all this to do with project management, you might ask? It has to do with distinguishing between the project governance process (project management) and the work methodology appropriate for the technology involved (product management). Although these two things must obviously proceed together in lockstep, they are not the same by any means. Even the PMBOK(r) Guide says so! Choosing the right people with the right skills for the work involved and applying the right technological processes for the task at hand are essential for a satisfactory product outcome. Thus the project manager's choices of project governance and technological processes obviously have a huge impact on the project's scope, quality, time and cost. And I guarantee that after reading this, taking a shower will never be quite the same. (2) The excavated dirt was being piled up to a height of 10 meters just to the north of the building. (3) Heavy rains added to exceptional lateral pressure of some 3,000 tonnes on this upstream side. (4) This was greater than the unreinforced pilings could tolerate. 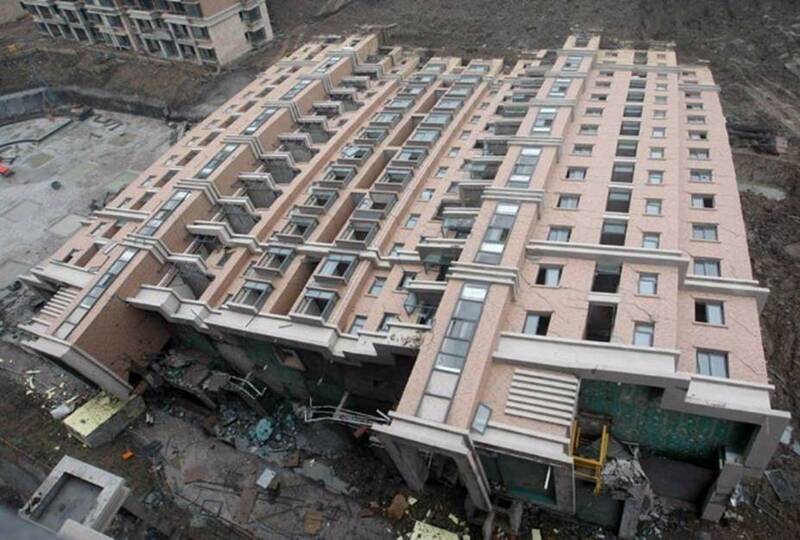 (5) As a consequence, the building toppled over in the northerly direction. 2. A Guide to the Project Management Body of Knowledge, Fourth Edition, Chapter 3, in the introduction.